Ruby Megan always wanted to be a big sister, but when her mother and father told her they were all going to Korea to bring home a little brother, her life changed. She loved seeing a foreign city and meeting Leo Sung--as they named him. But when the family comes home, Ruby has to face reality. She did not realize Leo would share her room, for a while--or that he would be sharing her favorite things, often without asking permission. 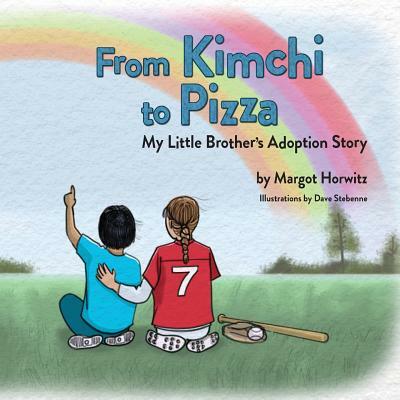 There were many big and small adjustments to this new life... How everything works out is the subject of From Kimchi to Pizza: My Little Brother's Adoption Story.